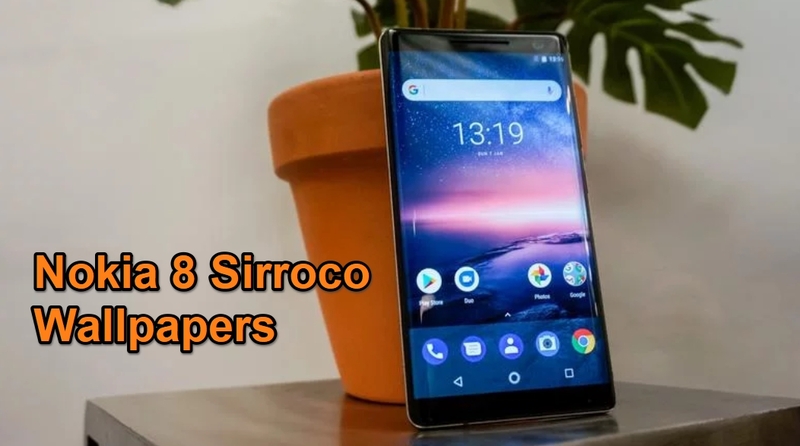 HomeWallpapersDownload Nokia 8 Sirocco Stock Wallpapers. Nokia 8 Sirroco Stock Wallpapers are here. The latest flagship smartphone by Nokia, unveiled on 25th of February 2018. Its the best looking Nokia device loaded with Android. The full-screen looks are quite 2018ish and have the large bezel-less display With QHD display. Here are the 10 Full-HD Official Walls from the latest Nokia 8 Sirroco smartphone. Download and enjoy these official Nokia8 sirroco backgrounds on any device with a bigger display. This is the latest smartphone by Nokia, the predecessor of the Nokia 8. The smartphone comes with gigantic 6 inch display with the pre described resolution. The official Wallpapers thus looks awesome on this bright IPS LCD display. With this high end Pixel per inch screen resolution the Nokia 8 Sirroco can compete with any smartphone in this range. This made the developers to post some of the best designed and High Quality wallpapers for the device. There are 10 Official Wallpapers stocked in device. You can download all by simply following the download link given at the end of the post. Here are the Official or Stock Wallpapers of Nokia 8 Sirroco. In total there are 10 Full HD Nokia 8 Sirroco stock wallpapers. You can follow the link to download them one by one or simply in a bulk mode. Meanwhile for more Wallpapers visit our Wallpapers Category.